The Moon story was an elaborate hoax, the date of 28 January given on the ra-el.org website never corresponded with the alleged reports made in India. You can read about the HOAX here Lord RayEL Jesus and Mary on the Moon foretold my coming! HOAX. So moving on we will now provide evidence that shines a light on further deception provided as evidence that Raymond Lear is the Returned Christ. 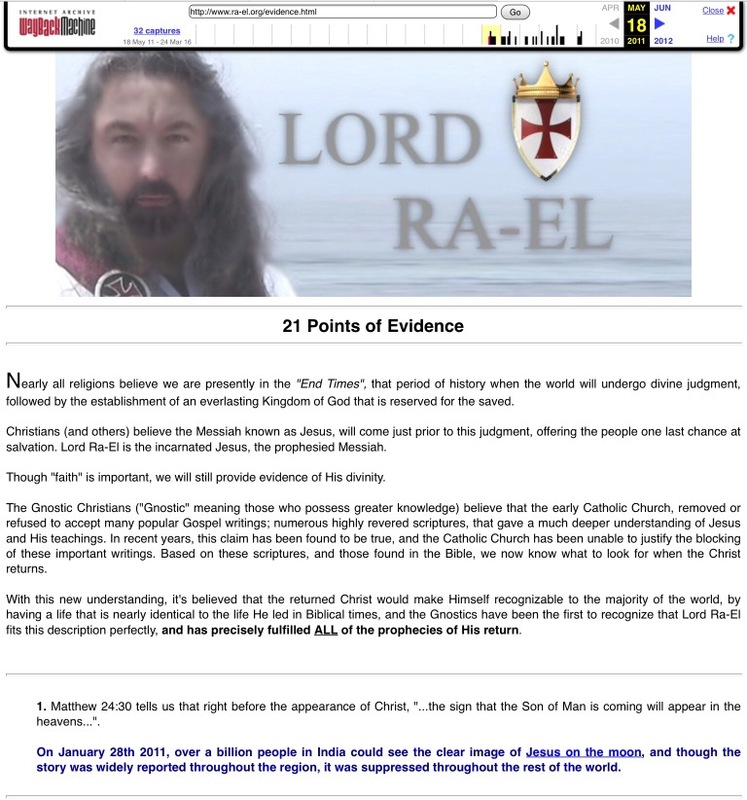 On 28 October, 2012 a staggering 22 months after ‘RayEL ‘Ra-EL’ appeared on the scene professing to be the Returned Christ, the miraculous story of the UFO seen over Jerusalem on 28th January 2011 was added to ra-el.org website. This bizarre event, according to their website, was the spirit of an Annunaki descending from a spacecraft and then shooting across the world to infuse with a failed politician and wanted man Raymond Howard Lear. What this blog will highlight is proof that this whole story is fictional, providing evidence and sources, in order that YOU can verify their legitimacy, something that the Ecumenical Order of Christ never provide. This is a screen shot dated 18th May 2011 from the website Waybackmachine which is an internet archive. This demonstrates that the only evidence posted as ‘proof’ that Raymond Lear was the returned Christ was the Moon story which consequently was a HOAX. According to former Apostolic Nuncio, Carter Davis the You Tube channel ChristhasReturned uploaded snippets of the 2011 UFO Jerusalem Event on the 14th May and 4th July. 22 months later the website was updated to include this event. For such an important event, one would think that this would have been on the site since creation, ask yourself why it wasn’t! The following is an excerpt taken from the ra-el.org website, dated 28th October, 2012. “What did we see on the video of the U.F.O. over Jerusalem? “The return of Christ’s Holy Spirit. As the Bible tells you, Yeshua walked as a man until his baptism, when was witnessed the Holy Spirit visibly descending from Heaven to join with him, making him Man and God. On January 28th, 2011, the world witnessed the Holy Spirit return to merge again with the man who is the Christ, exactly where and how the Holy Scriptures predicted. When Christ’s Holy Spirit ascended to Heaven 2000 Years ago, it was at this location, and the angels assured the witnesses that he would return the same way. Acts 1:11 And they were saying to them, “Galilean men, why are you standing and gazing into the sky? This Yeshua, who was taken up from you into Heaven shall come in this way, as when you saw him going up into Heaven.” Matthew 24:27 For just as lightning goes out from The East and appears unto The West, so will the coming of The Son of Man be. When his Holy Spirit descended from the clouds in the Middle East (Jerusalem), it entered our realm with a flash like lightening, and instantly traveled to the West (North America), to join with the Son of Man, RayEl. Some have tried to claim that the video is a hoax, but it is not, and you can see all 6 witness videos for yourself, including a video taken by a government weather camera” (Ra-el.org, October, 2012). This screen shot taken from the Waybackmachine internet archive shows the date the information was added to the website. The moon story, just did not have enough punch, enough impact. Insert UFOs and you have yourself a truly incredible and somewhat unbelievable story. You will attract a plethora of ‘Customers’, conspiracy theorists, those whom believe they are ‘Star Seeds’, Rainbows, Alien Hybrids, Sci-Fi fanatics, you name it. This story sold, and it sold well. The ‘original’ UFO video was viewed worldwide at the time, deemed also to be a hoax, it even made it mainstream on news broadcasts worldwide. I asked Carter Davis about the ‘UFO and date discrepancy’. “Care to take a wild guess who commissioned that? Yep it was MY doing. Now I understand what the hell you were talking about when you referenced the “UFO Video”. Domini produced this at my request as Apostolic Nuncio. They were put on thumb drives to be sent worldwide to government missions, religious institutions etc. I still have a ton of them, want one. I got them the first week December 2012. THAT was when I snapped out of it. They were never sent out. Incidentally I paid for them myself… $2000. The diplomatic video was my idea. Yes, this video was designed for the Diplomatic Legations of the UN globally, not true believers who were already familiar with this nonsense. I PERSONALLY emailed dozens of them. “They” wanted global exposure, I figured the video would be a good way to go”. So in October 2012 various videos of this ‘event’ were repackaged, rebranded, together with American news footage … and the Annunaki were firmly inserted into a ‘Myth’. The new video was added to the homepage 31st October 2012. OVER 22 MONTHS AFTER THE EVENT. On 25th September 2012 a video entitled Has Jesus Christ Returned or was it a UFO over Turkey ? https://m.youtube.com/watch?v=E9T8hpm5SmA. Links in this video directed you to the RA-EL.org website. Now, ask yourself … why wasn’t this ADDED TO THE WEBSITE and released at the outset when Raymond Howard Lear was was apparently announced to the world (May 2011) by the Holy and Apostolic Order of the Temple? Surely, this was a greater sign than the Moon hoax. Both these pieces of ‘Evidence’ can be discounted as ‘signs that Jesus returned’ and what is to follow is evidence that totally debunks this UFO HOAX. It’s very easy to establish that Raymond Howard Lear was less into foresight than hindsight. He manipulated the UFO incident to fit his narrative. 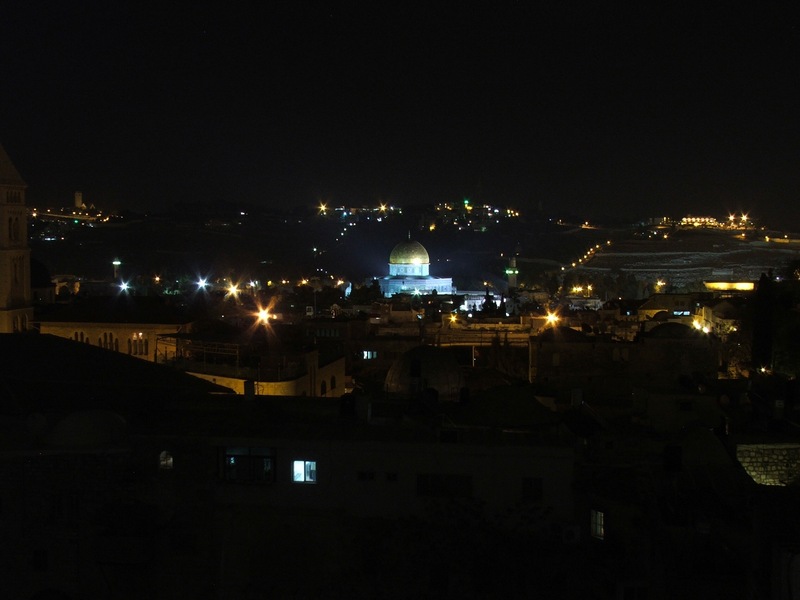 On January 28th, 2011, above the Islamic shrine known as The Dome of the Rock, a bright ball of powerful white light hovered effortlessly in the midnight skies of Jerusalem. As the light slowly descended toward the Dome, there was a bright white flash, and then it rigidly shot out of sight. The video made international headlines and was featured on many nightly news broadcasts. This was quickly becoming the most exciting UFO sighting in a long time. That is, until the true story behind the video’s film-maker slowly came to light. The clip details two men watching the a glowing orb (or light) hovering high over the Temple Mount for a small while, and then descends down almost low enough to land on the dome of the temple. It rests for a brief moment, there is some bright flash that fills the screen and then the orb shoots into the sky with blinding speed. The camera then pans to the sky overhead and shows many red dancing lights flickering in the sky. Voices heard are two males who do not speak english and say “Whoa!” when the UFO takes off into the sky. Special note: The entire clip has the back of a man standing in front of the camera man and he is holding a cell phone up and seemingly filming the UFO also. Shortly after, other clips started to appear. The “2nd video” was uploaded to Youtube on Jan 30th. It apparently shows the cellphone footage taken by the second man from clip one and contains the same audio as clip one with slight differences in sound quality. Both video 1 one and two are submitted as connected pieces of evidence. The third video (though mistakenly called “second” in its title) was of the UFO from a totally different perspective and with what appeared to be many voices. The video was proven to be a moving computer effect added over a still picture easily found. The lady says “you can almost hardly look at it” the object does not seem to reflect any light from the gold-plated dome below it. This is very mysterious indeed, and strongly suggests that the “UFO” light was digitally inserted into the scene. These few videos surfaced and went viral on YouTube. However, not all the videos were the same and it quickly became apparent that there were a few oddities in the footage and technical hitches that may reveal the videos’ true nature: an elaborate hoax. For anyone who still sees a UFO through the sea of red flags, there’s the video analysis that shows evidence of fakery. Robert Sheaffer, a longtime skeptical UFO investigator and author of the Bad UFOs blog told Life’s Little Mysteries that, “the original Jerusalem UFO has now been definitely shown to be a hoax. Effects of the video processing software are clearly seen. The hoaxer used Motion Tile effects with edge mirroring to introduce camera shake into the video. You can see the mirroring effects along the edge of the video. This proves that the video did not go directly from the camera to YouTube, that it made a stop in between inside a sophisticated video editing software suite. Once you start editing it like that, a skilled hoaxer can put practically anything in it”. More from Robert Sheaffer below. This of course puts many UFO believers in an awkward position — unless they assume that the world’s largest UFO-promoting organisation is also part of the effort to cover up evidence for UFOs! Israeli Channel 10 carried out an investigation. From their original report we learn that they interviewed and exposed the Actors and film teacher who all took a part in this hoax. When first posted, the film-maker was anonymous. Then, several other videos began to surface, showing the same event from different locations. One would think this would garner credibility, but when the film-maker(s) were finally identified, it was an entirely different story all together. The original video was shot by one Eligael Gadliovich. It was discovered that Gadliovich was the owner of his own film production company. In the video, a film teacher named Golan Ardiv was identified as one of the witnesses. This sparked much suspicion, and the flame was only fueled by the fact that the other videos, shot by various teenagers, were connected as well. The teens just so happened to be students of Ardiv’s. The tangled web had been undone, and when confronted, Gadliovich denied any connection to the other videos. As for Ardiv, he first denied knowing the teens, but soon retracted his statement and admitted that he not only knew the teens, but he had taught them as well. This was enough for Israeli TV investigative reporter, Nitay Elboim, who first broke the story about the entire controversy, to determine the conspiratorial end to a case that could have broken the lid off the entire UFO phenomenon if found authentic. Although the motives of Gadliovich, Ardiv, and the teens are still unclear, one thing is for certain; this case would pave the way for much more deception to plague the beliefs and gullibility of the mass public for the remainder of 2011. The Dome of the Rock is one of the most famous and important religious sites in the world, and there are well over a million people in Jerusalem at any given time—many of them religious tourists near the Temple Mount. It’s probable that there were thousands of people in the area at the time, yet no one else reported seeing or videotaping the bright light? Very suspicious. 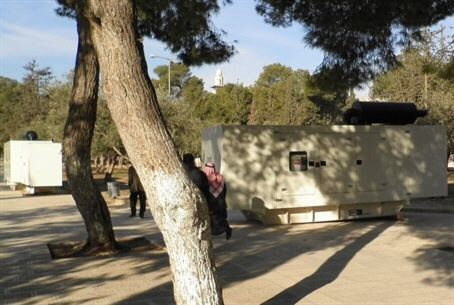 Huge electricity generators donated by the government of Jordan were brought into the Temple Mount Tuesday 25th January. A group led by Likud’s Moshe Feiglin documented the entry of the generators into the Mount. Nobody, to this day, has come forward and inform what exactly these generators were located in the area for. According to the Holy and Apostolic Order of the Temple, this light omitted from the ‘Ufo’ was the soul of Enlil, an Annunaki God which has returned. Then they would ask you to believe that this Annunaki God was Jesus Christ in a previous incarnation and that he has returned and infused with Raymond Howard-Lear to become Rayel, the Returned Christ. According to Sunni Islamic tradition, the rock is the spot from which Muhammad ascended to Heaven accompanied by the angel Gabriel. Further, Muhammad was taken here by Gabriel to pray with Abraham, Moses, and Jesus. The Holy & Apostolic Order of the Temple used scripture in an attempt to legitimise their claim that this indeed was the spirit of Jesus Christ returning. Luke’s Gospel gives a graphic account of Jesus ascending bodily into heaven near Bethany, not far from Jerusalem. Acts of the Apostles, records that Jesus remained on earth for forty days and was then taken up at the Mount of Olives. Presumably the author received further information between the time of writing the Gospel and writing Acts. So if He ascended from the Mount of Olives, as Acts says… then the reverse play of His return should be His descent from the clouds back onto the Mount of Olives – which the prophet Zechariah envisioned. You are then told to believe that the flash witnessed in all the fake videos was a ball of lightning that then travelled to North America and infused itself with Raymond Howard-Lear, therefore becoming the Returned Christ. Jesus Christ’s Return will not be in this or that particular place, but, like the lightning, sudden and universal. 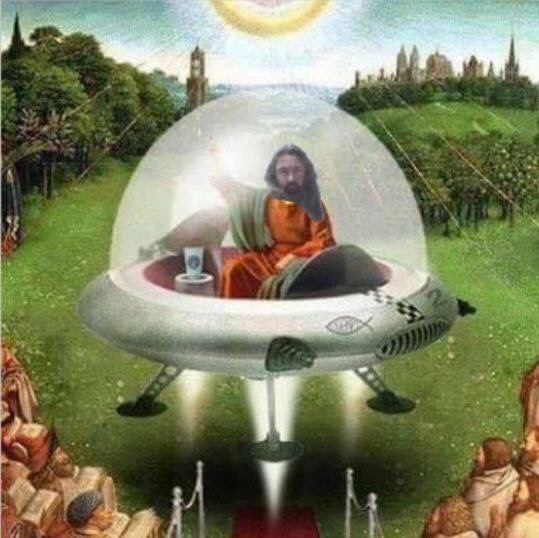 The appearance of the true Christ will be as distinguishable from that of the false Christ, as lightning, which shineth ALL AROUND the hemisphere, not a UFO. The Holy & Apostolic Order of Christ and The Ecumenical Order of Christ have used this HOAX in an attempt to legitimise the so called return of Christ, one should also take into consideration the Moon HOAX – The apparent signs on the moon date given 28th January 2011 when in FACT reports were made of an anomaly on 20/21 January 2011.